We clean and care for the built and natural environments. We are dedicated to maintaining and enhancing the City’s natural aesthetics. We do this through what we offer, so please see our services on the links on the left side of this page and click to find out more of what we can offer you. 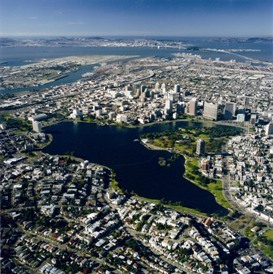 Nationally recognized as one of America’s greenest cities, Oakland’s award-winning leadership demonstrates our pledge to build an ecologically sustainable, economically dynamic and socially equitable future for our community. View a list of local green resources in Oakland or learn more about Sustainable Oakland. Starting July 1, 2015, the City of Oakland introduced new trash, compost and recycling services that will carry our city forward as an environmental leader. Contact us at (510) 238-7283 (SAVE) or email recycling@oaklandnet.com. Keep Oakland Clean & Beautiful is responsible for regularly scheduled street sweeping, the reduction of litter city-wide, keeping our hardscaped (concrete or asphalt) medians and city-owned lots free of overgrown vegetation, pickup of illegally dumped materials discarded on our streets and the removal of graffiti from public property. We are responsible for the park grounds, medians, City landscapes and routine building maintenance of park buildings. Park maintenance includes litter pickup and removal, pruning, weeding, turf mowing, irrigation system repairs and planting. See AAA's Via Magazine article about Lakeside Garden - one of the "top 5" gardens in California. Volunteer Opportunities - It Starts in the Heart! The beautification of the City of Oakland is dependent on many groups working together. 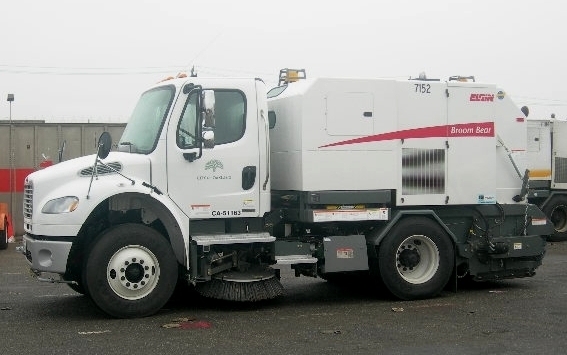 Oakland Public Works, in partnership with our community, provides opportunities for individuals, neighborhood groups, civic organizations, employee groups and local businesses to play an active and ongoing role in cleaning, greening and maintaining our neighborhoods, parks and creeks.